You Have Loads of Time – Because you have all the time in the world, no busy schedules to juggle, no stressful work life, and no real obligations, you don’t need to worry about cleaning services. You’ve put the capital “T” in “Tidy”. You Never Have Family or Friends Over – Never having friends or family over, or even a kid’s sleepover means house cleaning is a breeze. Your house is as clean as the day you moved in, and you like it that way. Your Pets Are Never Dirty – You purposefully got non-shedding dogs and they never go out and play in the dirt or walk around in unapproved (aka dirty) places. That would mean tracking in something that requires cleaning, and that is never going to happen. 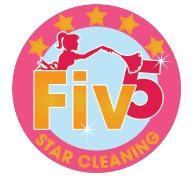 At Fiv5 Star Cleaning, we’ve never met a client who could say they didn’t need cleaning services. In fact, even if they DO keep up with their own cleaning, they are so happy that we provide regular house cleaning, seasonal cleaning, and special event cleaning to help keep things on track. We think you’ll see and feel the difference when you call on us for the professional cleaning services you need. Make your call today!